In early 2009 this sign appeared at a petrol station on the West Coast. It reflected the fact that over the previous year petrol prices had risen much faster in New Zealand than the general rise in prices for goods and services. 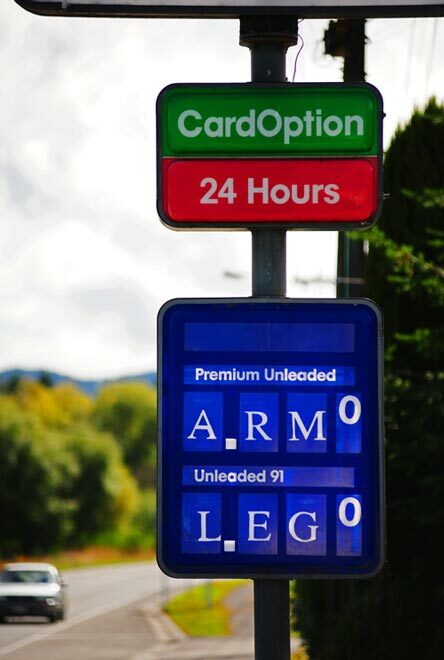 So it seemed to people that petrol was costing ‘an arm and a leg’. The petrol price rise had been the result of international concern that the oil supply was becoming exhausted. When a price for a particular good rises at a faster rate than other goods, that is called a relative price increase.